It’s funny to think of Kerbal Space Program as a “new” game. Thanks to the magic of Steam Early Access, I’ve been playing the game on and off for about two years now (as have many of you, I’m sure). But the game recently left Early Access for the fertile plains of an official 1.0 release, not only providing a reason for lapsed players to jump into the game but signaling the all-clear as far as official reviews go. So here it is, my official review: Kerbal Space Program is more than just an outstanding space sim. It’s the embodiment of everything that’s noteworthy and valuable about PC gaming. If you’ve never played Kerbal Space Program (KSP), it’s sort of like the most advanced space-themed Lego set in the world. Or like baby’s-first-NASA. Or a simulation of what your life might’ve been like had you gone to school for that aerospace engineering degree instead of…whatever you did instead. 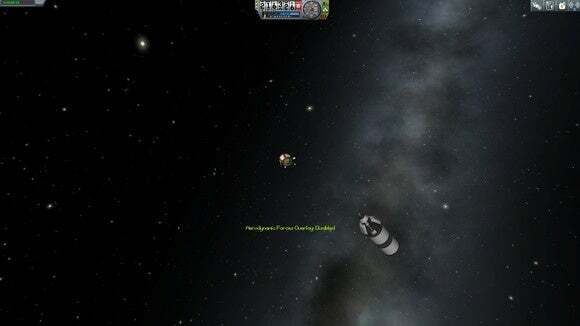 You’re in charge of the space program on the planet Kerbin, an Earthlike planet inhabited by adorable green aliens known as Kerbals. Don’t get too attached. You will undoubtedly kill a lot of Kerbals over the course of your time with KSP. While KSP now has a “Story” mode, the core of the game is still the same as it’s ever been—build rockets, then fly those rockets. The only difference between the Story mode and the sandbox modes is that in Story you’ll have limited funds and will literally build up Kerbin’s space program from scratch, researching more advanced parts as you get better. It’s a great way to introduce players to the game, because if you jump straight into the sandbox you might find yourself drowning in quicksand. There are a ton of parts to experiment with in KSP, and the best way to understand what each does (in my opinion) is to have them introduced a bit at a time through the career. But if you like drowning, well, sandbox mode is always available to you. 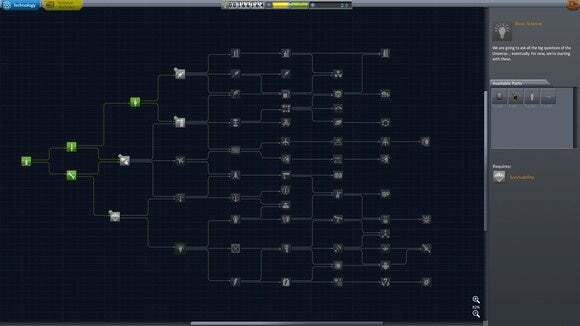 This is the tech tree in Story Mode. It's...pretty complex. Regardless of whether you choose the Story or Sandbox path, make no mistake: Kerbal Space Program is hard. Why? Because real life is hard. You know how people always say “It’s not rocket science” in that annoying, pedantic tone? Well in this case, KSP is quite literally rocket science. Do you know how to nudge a throttle during takeoff so that you’re not unnecessarily burning more fuel than drag necessitates? Do you know how which thrusters to fire to increase your orbit around a planet? Do you know how to plot a course to the moon? Yeah, I didn’t either. But I learned—sometimes on my own, sometimes through KSP’s built-in tutorials, sometimes through reading Wikipedia pages on, for instance, aerobraking. I’ve spent many nights poring over forums, trying to better understand. 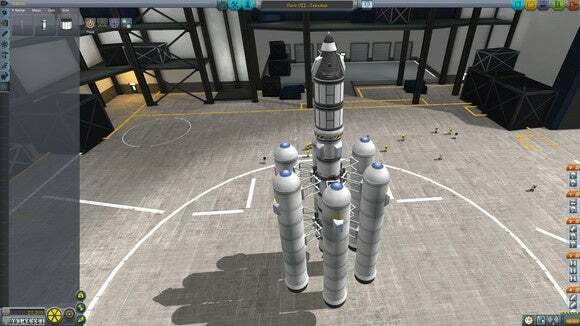 Your first rocket will probably look something like this. Easy. 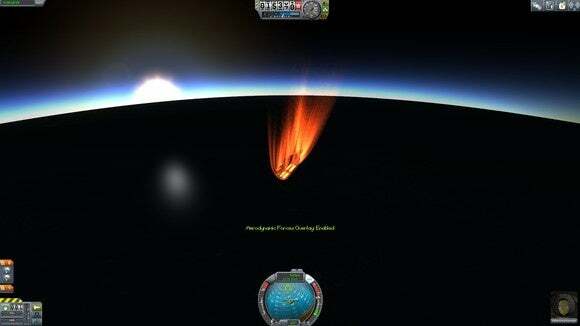 Kerbal Space Program is incredible for a number of reasons. Because complicated aerospace concepts are built into the game. Because the game is engaging enough to make you want to learn about those concepts. Because you could skip those concepts entirely and still have a ton of fun. 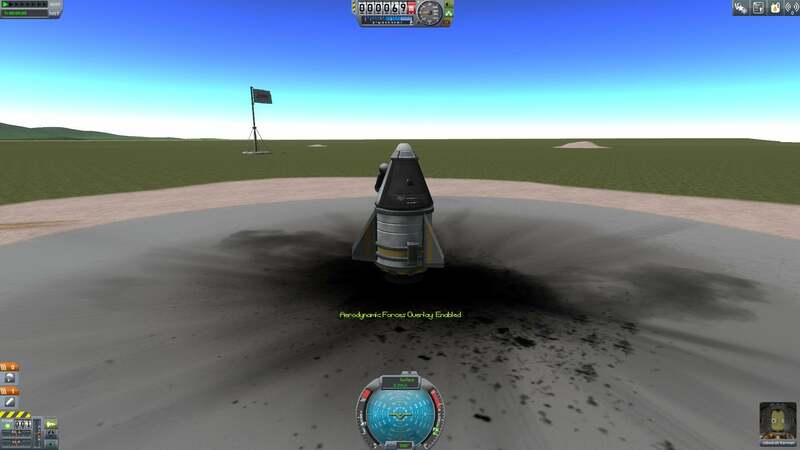 The “edutainment” label is a bad word in the games industry, but that’s exactly where KSP fits. It’s more flight simulator than first-person shooter, if we’re being honest, and yet it’s friendly enough to rope in people who might never give Microsoft Flight Simulator X or X-Plane a second look. You can play it as a serious rocketry simulator, putting satellites into orbit and heading to the moon or even further, to the edges of the solar system. Or strap sixteen rockets in a helix pattern around a girder and see what happens when they all ignite. Or fly halfway to space and then force your Kerbals to jump out of the cockpit. Or. Or. Or. There are so many possibilities for spaceflight when pesky real-life constraints like “Will people die?” and “How will we fund this?” go away. And if a few Kerbals need to suffocate in the vast vacuum of space so I can test out a new rocket design, well, so be it. Rest in peace, Jebediah Kerman. Where the flight simulator genre is intrinsically “adult” and “boring,” Kerbal Space Program somehow feels more like a game—even though it is, at heart, still a simulator. In that regard, KSP reminds me of another PC classic, The Incredible Machine. There, too, you had a physics simulator cleverly disguised as a sandbox game. I’m not saying every game needs to be in this mold. Story-driven games certainly have a place in the industry, and I’m actually drawn towards narrative games more than purely mechanical games. 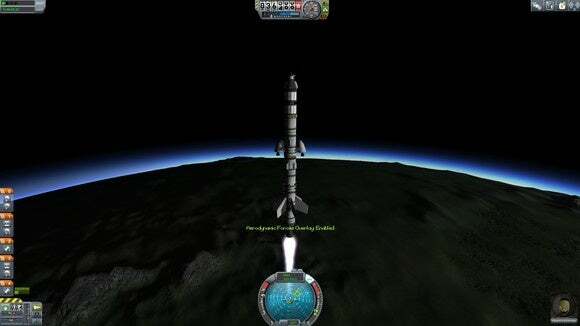 But Kerbal Space Program is one of the best of its kind. It’s an adult Lego set (or K’Nex set) given life. It’s creative, it’s complicated, and when you succeed in KSP it’s not because the game let you succeed—it’s because you actually learned something new and applied those concepts appropriately. That learning aspect's big. Games are at their best when they’re teaching us something, even if that “something” is just how to shoot people more creatively. I feel like the games industry has by-and-large lost that “teaching new mechanics” feel in favor of a focus on driving players through stories using the same old rehashed game design. You’re still learning, in a way, but it’s more like watching TV or reading a fictional book than anything intrinsic to games. Games can teach. In many ways, games can teach better than any textbook. But to do so, those games need to exist. We need more Kerbal Space Programs to balance out the onslaught of Shootathon 20xx Editions—games that let us be better, let us experience and play with ideas we might not have a chance to otherwise. And simultaneously, games like Kerbal Space Program that allow you to disengage with the learning aspect entirely if you so choose. In other words, games that are actually games and not just teaching tools. That’s important too. 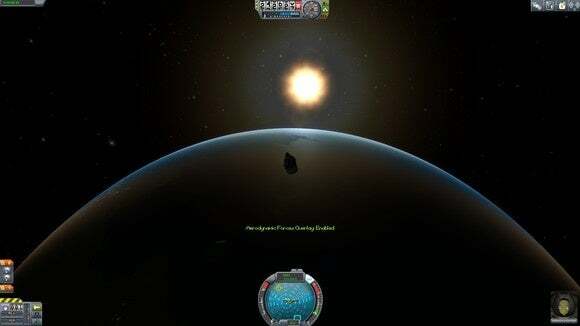 For this and many more reasons (including a fantastic modding community), Kerbal Space Program is one of the most important games to hit the PC in years. Congratulations to Squad on a fantastic 1.0 release, and I look forward to many more updates in the future. Kerbal Space Program isn't just a fantastic space game. It's one of those games that makes you glad you play on PC, because it could only come to exist on PC.